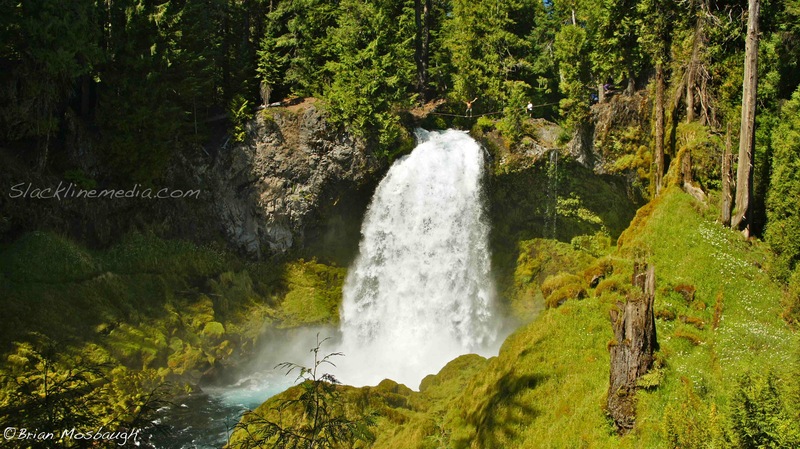 About seven years back while living in Eugene, Oregon, I came across Sahalie Falls in the densely forested region of the Cascade Mountain range. This waterfall happens to be one of three consecutive falls close to one another along the McKenzie River, recognized as the tallest and perhaps most inspiring of the trio. 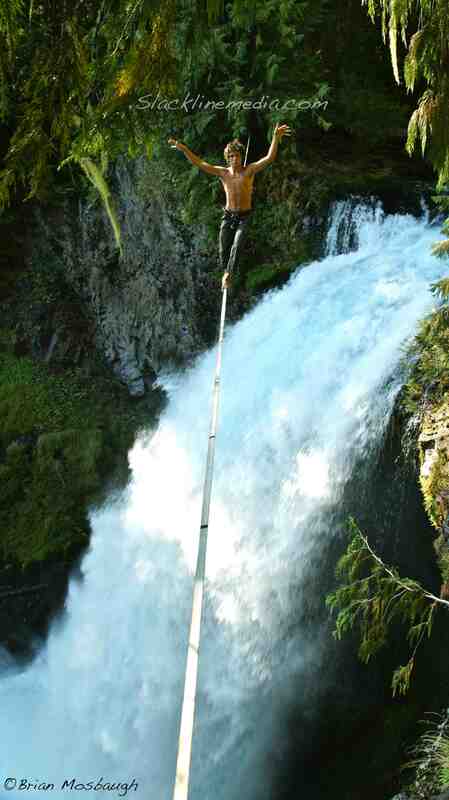 As far back as I can remember, I’ve always had a deep fascination and respect for water and its unrelenting power. This incredible force is capable of carving out entire valleys and sculpting new mountain ranges in a way our modern technologies and destructive capabilities pale in comparison. The cascading water is large and in charge, constantly changing with the seasons depending on glacial melt and available runoff from the surrounding mountains. 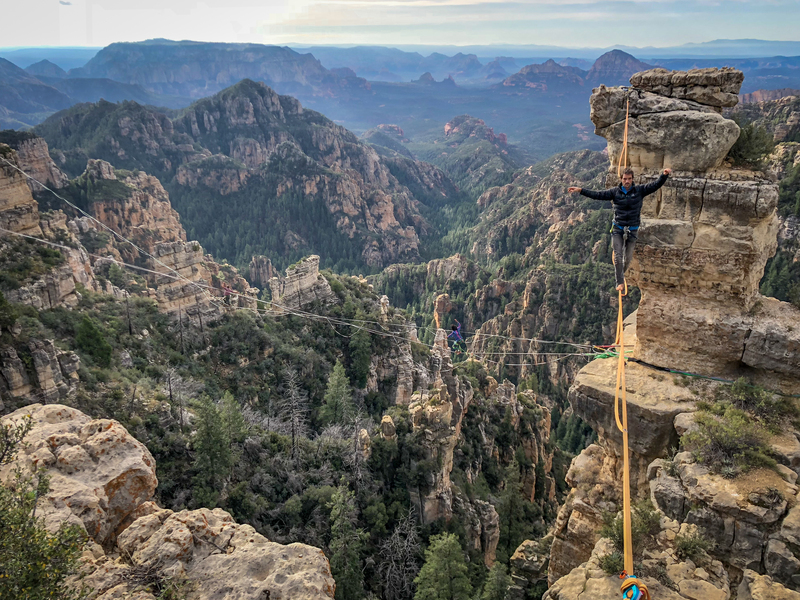 During my first visits to this destination I was neither a climber or slackliner, lacking the vision to see it as a beautiful highline destination for the future. Jump forward many years, after improving my skills as a highline rigger/developer, and I had a new approach and set of mental tools to complete this project with my slackline equipment in my backpack. The privilege of walking above such incredible forces is certainly an experience hard to forget, and it remains one of my favorite settings to highline amongst. With a constant mist of water being pushed upward due to an updraft of wind, and the violent noise of water crashing 100′ below the line, it can be a somewhat unnerving experience to harness the appropriate focus for walking in balance. 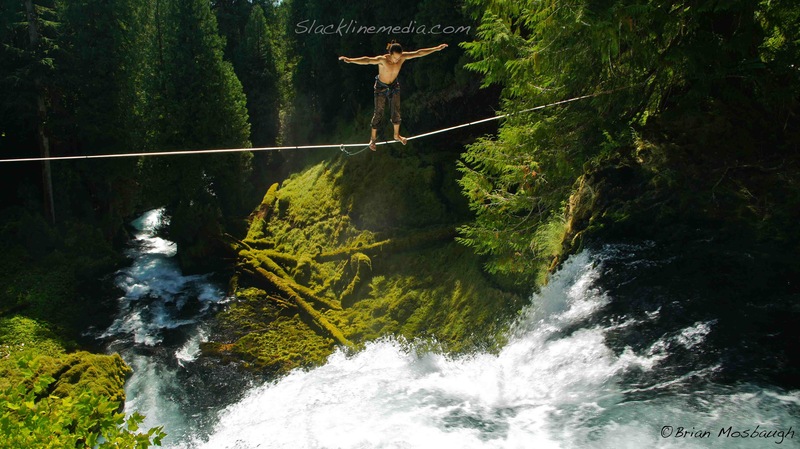 At the time of rigging this line for the first time, with fellow slackliner Kurt Staheli, I was still very much a novice “learning the ropes” so to speak. Despite being somewhat of a beginner, Kurt and I were inspired and able to successfully rig the line to get the first full-man sends (walking in both directions) and using all natural anchors as our fixed points for the highline. Although natural anchors aren’t alway present when equipping a new line, it’s something I especially seek out and take a lot of pride in when not using the aid of bolts or a drill. 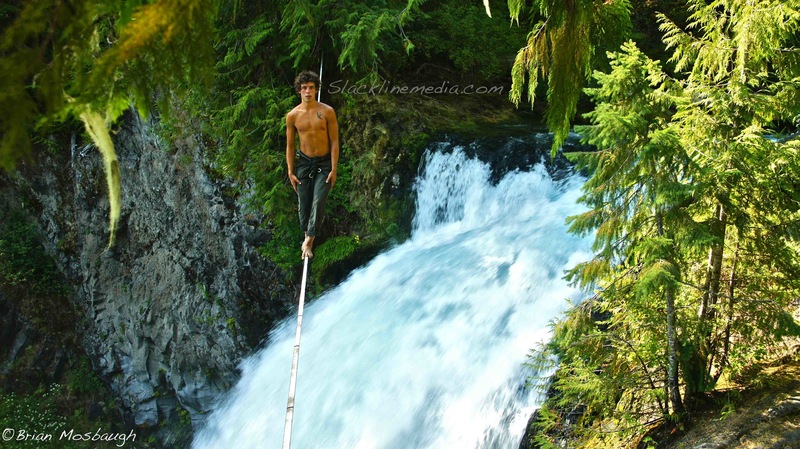 This ethic and style of rigging is, and always has been, my preferred method of establishing new lines… Since the recording of this video I’ve returned with many groups of friends to share the unique experience of hovering over falling water. Everyone whose been a part of this adventure has always left with a smile and new appreciation for Sahalie Falls’ natural presence, so I consider the expedition a great success and thank all who have helped rig and walk this incredible line. Ethan Holt don’t need no hands to balance!